According to the Azerbaijani business information portal ABC.AZ, the Institute of Geology of National Science Academy of Azerbaijan held an open day on Tuesday for pupils of Baku school No.160 during which the students familiarized themselves with mud volcanoes and how they are created. Among the institute’s core competencies is the study of the mud volcanism phenomenon. At the event, the Director of the Geology Institute Akif Alizadeh told the pupils about the peculiarities of geology and science, as well as the history of the institute’s development. “Within the event the pupils visited different departments and labs of the institute, got familiar with the institute’s information base on mud volcanoes, earthquake zones as well as compute forecasting of movement changes and other processes in the earth crust,” reported ABZ.AZ. 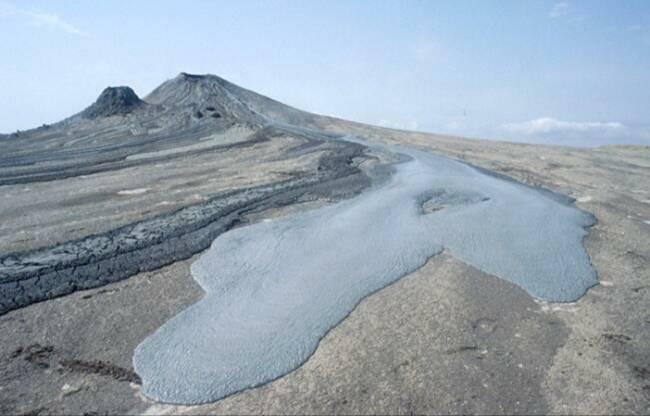 Azerbaijan and its Caspian coastline are home to nearly 400 mud volcanoes. In 2001, one mud volcano, 15 kilometres from Baku, made world headlines when it began spitting flames 15 metres high.